Through our company one can buy imported car from the U.S.A – brand new or used, and in unbeatable prices! our company is located in NY, so you buy directly from the importer and save unnecessary commissions! With us, there is no pig in a poke! We are checking all vehicles thoroughly, and you get Carfax report and video of the car before its arrival to Israel. New: buy a car and receive a special present from us! We deliver the car to your house - we take care of import, customs, and every other obstacle along the way. An attorney accompanies the deal from start to end, ensuring that the vehicle is properly delivered. Did you find a better price? Tell us and we’ll compare it. Among the popular models: Honda Accord, BMW, Toyota Camry, Toyota Camry Hybrid, Toyota Sienna, Cadillac, Hummer, Lincoln, Chevrolet, Lexus and Chrysler. 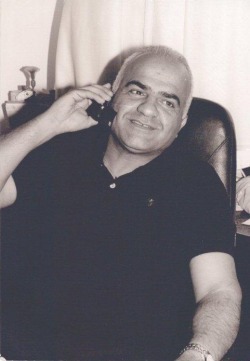 Moshe Yarimi, owner, has more than 28 years experience in importing cars.